Buy tickets online at www.clydetheatre.com, over the phone at (800) 514-3849 or in person at the Clyde Theatre box office, all three Wooden Nickel locations, Neat Neat Neat Records, and Sweetwater Sound. Glenn Hughes (AKA The Voice of Rock) is an English rock bassist and vocalists, best known for playing bass and singing in the band Deep Purple, as well as briefly fronting Black Sabbath, and the funk rock pioneers, Trapeze. He was inducted in the Rock and Roll Hall of Fame as a member of Deep Purple, a band considered to be among the pioneers of heavy metal and hard rock. In 1975, Guinness Book of World Records dubbed them as “the globe’s loudest band”. 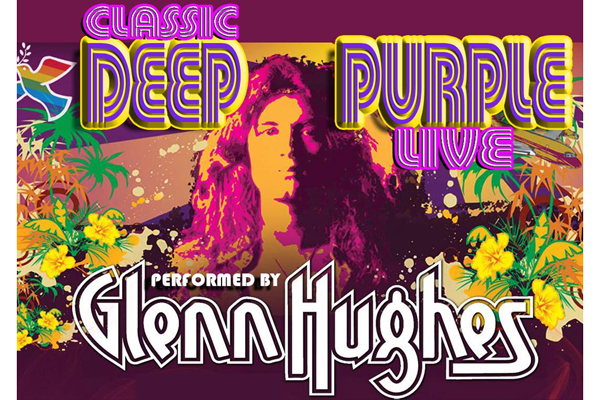 On this tour, he’s turning back the clocks and paying homage in a live extravaganza celebrating Deep Purple.